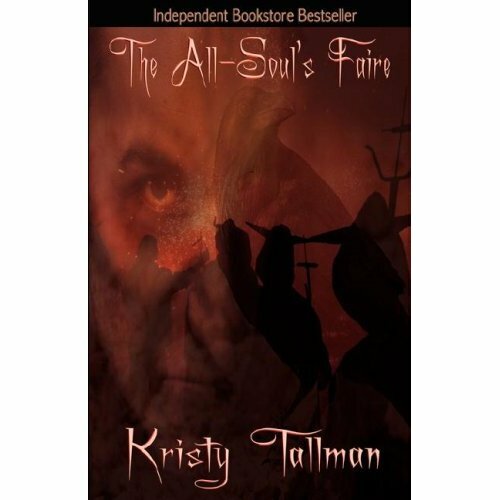 If you can never get enough horror, crave a thick Virginia drawl, and aren’t too picky with how a book’s been edited, Kristy Tallman’s “The All-Soul’s Faire” might be for you.Â “The All-Soul’s Faire” is a quick 300 page dance around suicide lookout and a moonshine-raising, Satan-worshipping, inbred disease of a family, all from the point of view of an outsider detective who’s been on the local force for six months. There is real, dark horror buried in this novel.Â Once you get past the narration, the missed edits, and the characters noting how much like a horror movie everything seems, a twisted background emerges, including surreal deals with the devil and recurring orgies.Â Tallman’s writing seems to smooth out whenever she gets her characters into an adult situation, which happen more and more often as the plot progresses.Â The protagonist spirals unwittingly into a net of lust and lost control. I just couldn’t suspend disbelief when it came to the town’s apathy in the face of the unreal horrors being visited on it.Â No matter how many times characters explain to the protagonist that their small town just accepts the inexplicable, nor how much back-story is brought to bear, too many excuses fell flat for me.Â I didn’t feel their fear, and I didn’t believe they were just keeping it to themselves for the sake of being insular. The primary plot lines and clues do get explained fairly cleanly by the end, but that largely comes in the form of a tell-all just before the /coup de grace/.Â I found myself wanting new clues more frequently, and less time spent repeating the old clues in wonderment.Â And I was frustrated by a couple of situations that had been built up only to be left flat. I jumped, up scared as hell, not knowing if I had lost myself to a dream or if it were real.Â I looked around me with my hand on my gun, ready to use it if necessary, but nothing was there, nothing at all.Â The woodpecker, the deer, the wind–all of it gone–as if they had stood still with fear just as I had.Â This was crazy, I thought.Â I’m just stressed.Â I got down off the wall and headed back down the pathway to my car.Â I was almost there when I got the eerie feeling that someone was following me. No user commented in " BOOK REVIEW: The All-Soul’s Faire by Kristy Tallman "